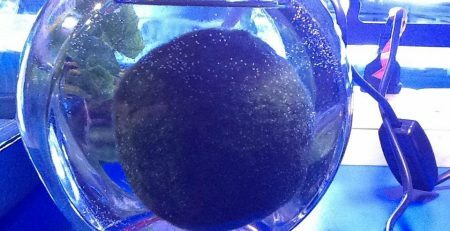 At first glance, a Marimo Ball may look like one of the fuzzy tribbles of Star Trek fame, but they are actually a rare form of algae that grow in the form of perfectly round, velvety soft balls. They are native to Japan’s Lake Adkan and in 1921 were declared a national treasure. Despite their appearance the balls are actually a collection of very densely packed individual filaments. Their movement in water and habits such as rolling around and responding to light have encouraged a belief they are sentient beings and are highly revered. Aquarium enthusiasts have made them popular as decorative plants as they can be placed with all types of fish help keep the water free of other algae and it is not attractive to algae eaters. 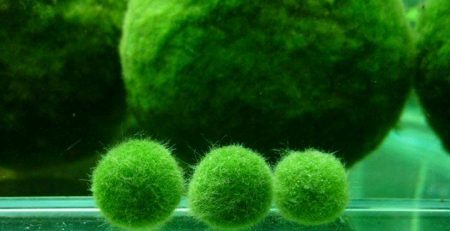 Marimo Balls are also known as “Love Plants” in Japan. According to myth, the daughter of the chief of a tribe that made its home on the banks of Lake Adkan fell in love with a man. Alas, he was considered a “commoner,” and, therefore, her father considered him an undesirable mate and forbade them from being together. 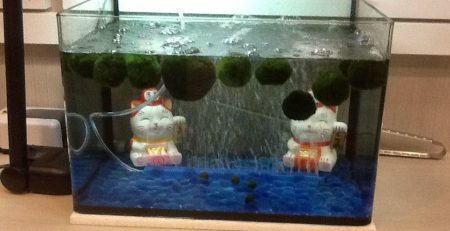 The couple could not accept this so they ran away and turned into Marimo balls, and lived happily ever after! 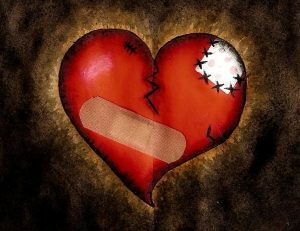 This is why it’s believed that Marimo can heal a broken heart. Whether you believe it or not, one look at its whimsical movement and a touch of its plush, velvety feel is sure to dry anyone’s tears and bring a smile to their face. They are quite soothing to look at, waving gently to you from their watery homes. 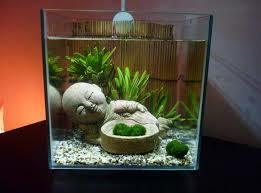 Marimo Balls need no sunlight or fertilizer. 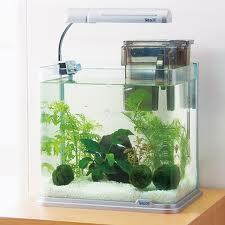 They grow well in tap water and light from an ordinary lamp is plenty for them. The water should be changed ever 10-14 days and they should be rinsed and lightly tapped to keep their shape. Should gray patches develop, simply make sure that area receives light. If the balls turn white, they are getting too much light. Browning indicates they need to be cleaned. You can also soak them in a bowl of salted ice water for 2-3 hours. 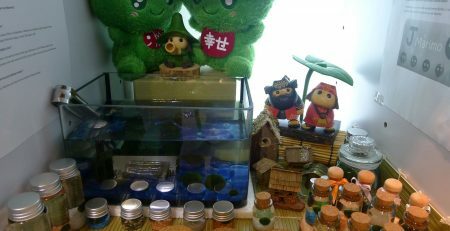 Legend has it that those who take especially good care of their Marimo balls will have all their heart’s wishes come true! To propagate, take the ball apart so that the individual fibers are exposed. They’ll rejuvenate within 4-6 hours. Large balls do this naturally. To return the two parts of the ball to their round shape, place in a round container and surround it with circular water movement, but keep it gentle! 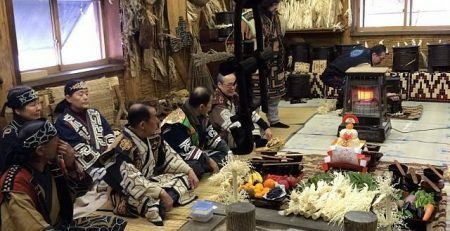 Lake Akan Marimo are protected and marimo balls are not sold as they are considered a national treasure. When a dam was placed on the dkan River, (which fed the lake)in 1921, the water levels fell and the Marimo balls started dying. Environmentalists launched a campaign to save them and asked people who had taken any balls from the lake as souvenirs to bring them back. 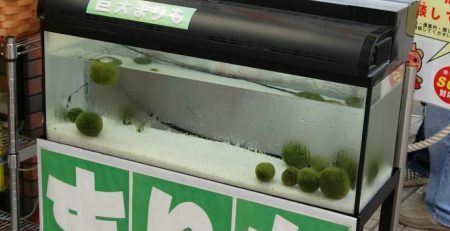 It was a great success, and now an annual Marimo festival is held at the lake each year. 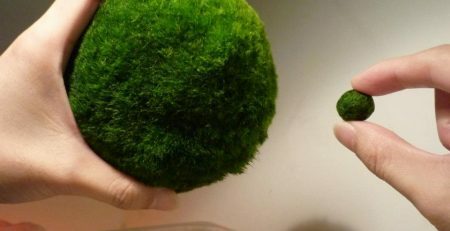 Iceland has also moved to make Marimo a protected species.